In the midst of domestic news, the latest turn in the New Zealand mass murder slipped by my radar. It turns out that one of those intersectionality virtuous Muslim clerics, *publicly* blamed the Jews. This was not a fringe figure; he is a prominent leader. The socialist prime minister was not asked for comment, nor did she find a camera to get in front of and forcefully intone that this was not New Zealander values and a person who expresses such views is not a real New Zealander. After all, the red-green coalition is working according to plan, consolidating state power through the forms of the democracy they are hollowing out. Prime Minister’s Questions this past week foreshadowed the American government’s future. Such a future had been seen as years, or decades, away, but events of this past week suggest the United States has entered a wormhole, as in a science fiction story. 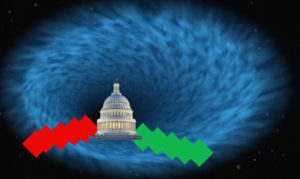 Indeed, it seems that one party has created an artificial wormhole, or hyperspace jump gate. Are we now being hurled towards convergence with British politics and society, with truth becoming stranger than fiction? Prime Minister’s Questions, on 6 March 2019, featured questions about what Labour MPs called “knife crime.” While the Conservative PM lightly pushed back with talk of “drug gangs” as the problem, she effectively conceded the left’s position by citing an “offensive weapons” bill as a part of the government’s response. The accepted range of debate in Britain is now over how helpless the subjects of the realm should be rendered, firearms having long been restricted to near non-existence for ordinary people. 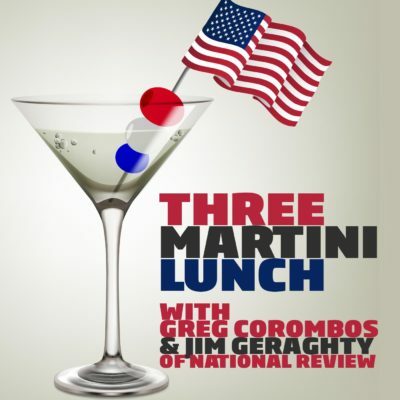 Jim Geraghty of National Review and Greg Corombos of Radio America are surprised by who is arrested for allegedly issuing scores of threats to Jewish Community Centers and other institutions. They also react to the details of the terrorist attack in London and shred the rationale behind radical Islamic terrorism. And they discuss North Korea being suspected of a massive heist of money from Bangladesh that was held in the Federal Reserve Bank of New York – and something about that story seems very familiar to them. I am a retired professor from Pennsylvania who spends as much time as possible with my grandchildren while I constantly fret about the future of our country. 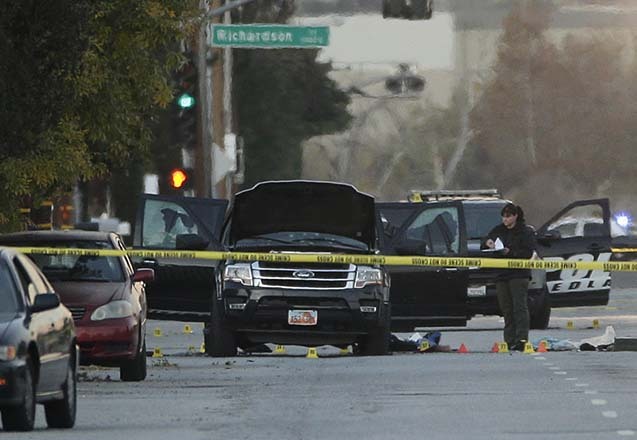 As evidence about the horrific mass murders in San Bernardino unfolded, and explanations about the killers’ motive devolved to the familiar statement, “we can’t rule out terrorism,” the rest of us shocked by this slaughter wondered why the authorities were so hesitant. In fact, only 48 hours after the event, we learned quite a bit. For instance, in spite of CNN, MSNBC, and other progressive tripe-peddlers suggesting everything from right-wing terrorism to the triggering effects of a nearby Planned Parenthood, it was clear that this was a premeditated assault carried out by “very religious” Muslims. The wife, Tashfeen Malik, even professed allegiance to ISIS on her Facebook page. As far as motive goes, how about the title of Brigitte Gabriel’s book on the subject: Because They Hate: A Survivor of Islamic Terror Warns America. Isn’t that enough?